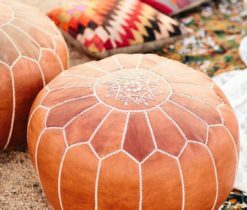 Morocco is a country of exclusive things, which are famous throughout the world by their original coloring and uniqueness. 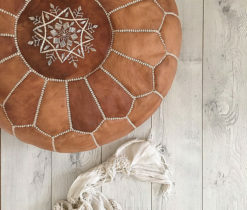 Among these products there are national handmade carpets, brass plates and rugs as well as decorative pillows covers which include oriental motives and bright colors. 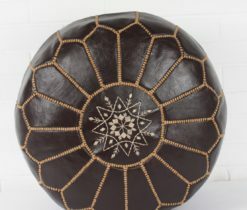 And also Moroccan pouf can be attributed to such decorative elements, which is a unique masterpiece of the eastern interior. 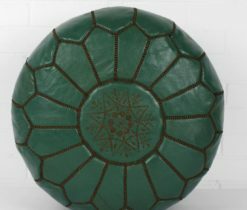 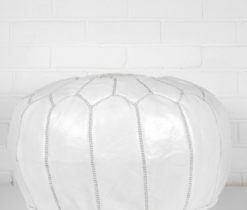 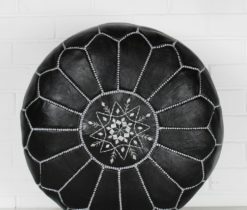 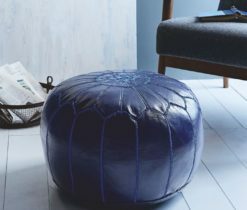 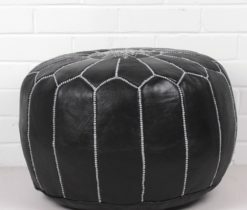 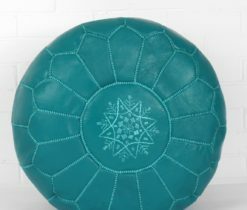 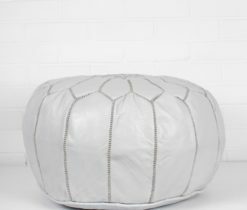 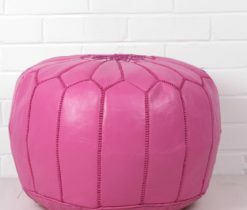 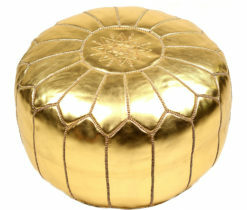 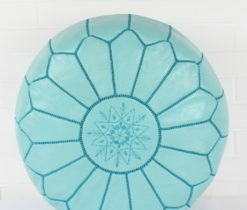 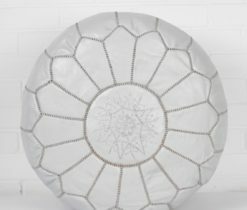 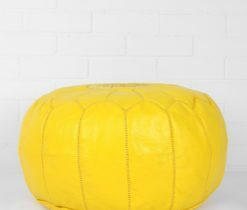 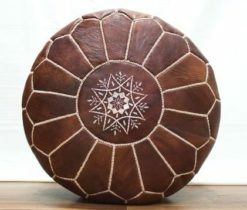 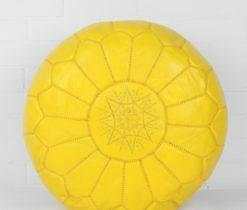 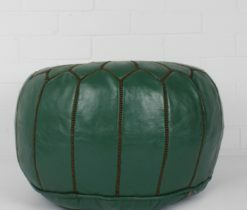 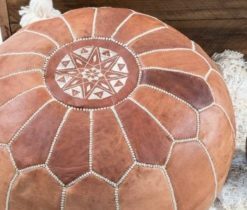 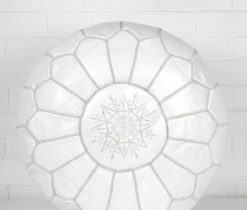 Moroccan leather pouf is a comfortable low stool without legs, more like a round rigid pillow, sewn from petals. 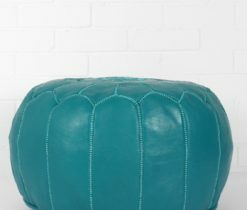 It is incredibly practical element used in many ways, from a bedside table to a footrest. 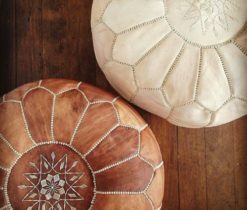 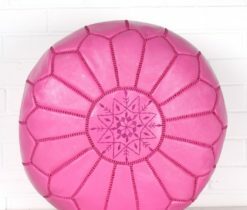 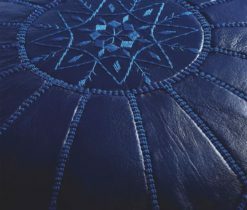 In our online store you can find different kinds of leather poufs made of genuine leather with embroidered oriental patterns. 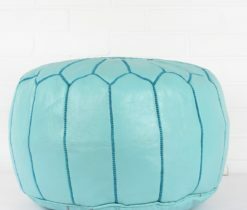 Designing of Moroccan pouf ottoman is also done in different colors, often decorated with handmade embroidery. 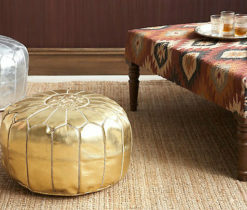 Ottoman poufs are not only fashionable, but also very convenient. 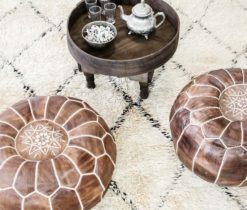 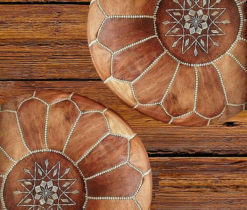 Many transformations have taken place in the history of Moroccan interior items, but intending for perfection masters still use the original idea, both in internal and external design. 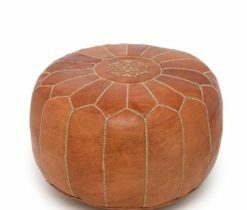 In this way, Moroccan Ottoman Pouffe retained that ancient style, but was improved in design, in leather quality, in variety of colors. 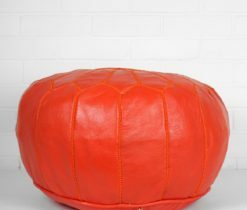 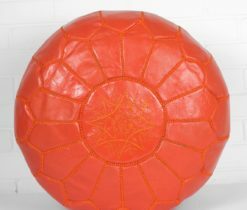 We recommend poufs at affordable prices and best quality. 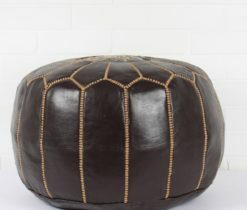 For this, you do not need to visit an exotic country, but just order it from our online store.